Half-hero genie fans will soon be able to own a timeless, perfected classic in their hands. 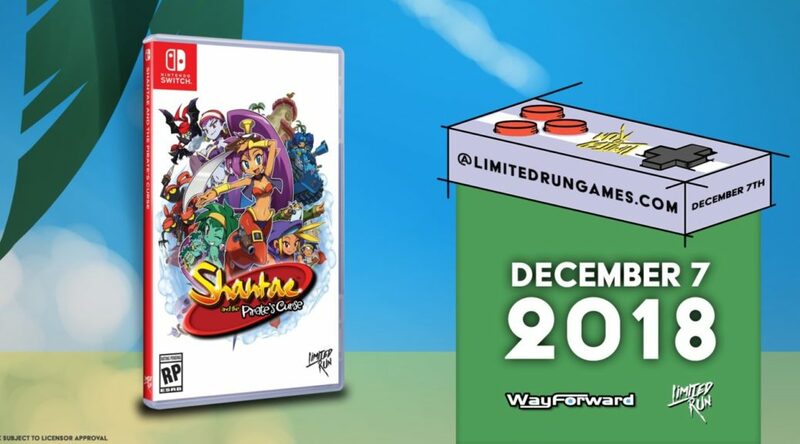 Limited Run Games have revealed that Wayforward’s Shantae and the Pirate’s Curse will be getting an exclusive Switch physical release. The game will receive a collector’s edition bundle, which we should hear more about sometime next week. Pre-orders for the game will go live over here on 7 December 2018 (10 am ET / 7 am PT). We're happy to announce that we will be bringing Shantae and the Pirate's Curse to Switch on December 7th at 10am ET.